How do you know your dishes are “sanitized”? What can consumers do to protect themselves from food borne illness? CLEAN : Wash your hands with soap and water before preparing food. Wash cutting boards, dishes, utensils (including knives), and counter tops with hot, soapy water after preparing each food item and before going on to the next food. Wash produce. Rinse fresh fruits and vegetables in running tap water to remove visible dirt and grime. Remove and discard the outermost leaves of a head of lettuce or cabbage. Because bacteria can grow well on the cut surface of fruit or vegetable, be careful not to contaminate these foods while slicing them up on the cutting board, and avoid leaving cut produce at room temperature for many hours. Don’t be a source of food borne illness yourself. Avoid preparing food for others if you yourself have a diarrheal illness. Changing a baby’s diaper while preparing food is a bad idea that can easily spread illness. SEPARATE : Don’t cross-contaminate one food with another. Avoid cross-contaminating foods by washing hands, utensils, and cutting boards after they have been in contact with raw meat or poultry and before they touch another food. Put cooked meat on a clean platter, rather back on one that held the raw meat. COOK : meat, poultry and eggs thoroughly. Using a thermometer to measure the internal temperature of meat is a good way to be sure that it is cooked sufficiently to kill bacteria. For example, ground beef should be cooked to an internal temperature of 160o F. Eggs should be cooked until the yolk is firm. CHILL : Refrigerate leftovers promptly. Bacteria can grow quickly at room temperature, so refrigerate leftover foods if they are not going to be eaten within 4 hours. Large volumes of food will cool more quickly if they are divided into several shallow containers for refrigeration. REPORT: Report suspected food borne illnesses to your local health department. The local public health department is an important part of the food safety system. Often calls from concerned citizens are how outbreaks are first detected. If a public health official contacts you to find out more about an illness you had, your cooperation is important. In public health investigations, it can be as important to talk to healthy people as to ill people. Your cooperation may be needed even if you are not ill.
For more information on preventing food borne illnesses, please visit FoodSafety.gov , the federal gateway for food safety information. For example, many dishwashers have a “sanitize” cycle. Do you use it? What does it mean when the manufacturer states that the “sanitize” cycle is NSF certified? For example, Bosch dishwashers have a “sanitize” cycle. What does that mean? By operating at a higher temperature, the sanitize option meets National Sanitation Foundation (NSF) standards of cleanliness, eliminating 99.9% of bacteria, and enhances your drying results as well. 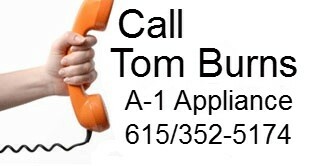 A-1 Appliance sells Bosch dishwashers! Contact me at the links below or stop by the showroom and I’ll show you the NSF label. We have a large selection of dishwashers with the features you need to protect your family from food-borne illness. It’s all about CLEAN!